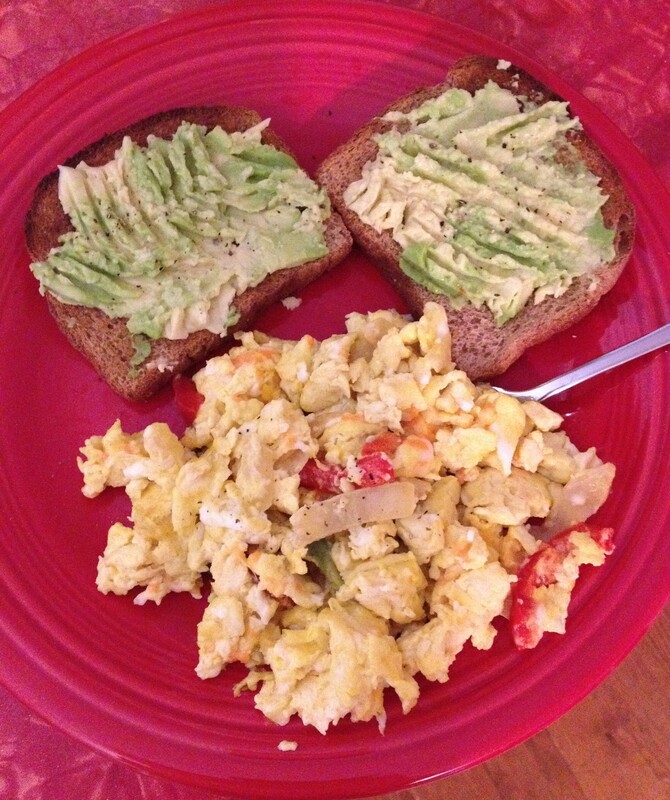 Healthy Breakfast Ideas: “Smashed” Avocado Toast with Eggs! Usually the weekends are when I find myself able to actually sit down and eat breakfast, as opposed to a quick on-the-go peanut butter and banana sandwich during the week. So I tend to want eggs, French toast, waffles…the whole 9 yards. I recently made this breakfast when I was craving something salty, since I had seen a recipe for “smashed” avocado on toast. I also love avocado, so I wanted to give it a try. It was delicious and kept me full all morning – win win! This is super easy: toast your favorite bread, then take 1/4 of an avocado and “smash” it on a slice with a fork, until it’s spread out on the toast. Top with a little salt and pepper and boom! You’re done. I made scrambled eggs with veggies to go with it, but you can serve it with whatever type of eggs you like. Enjoy! Lightened-up Italian: Spaghetti Squash Sausage Lasagna!